Startup news cambodia, startup news Asia, technology Cambodia, Technology news Asia | Ready to be Inspired? 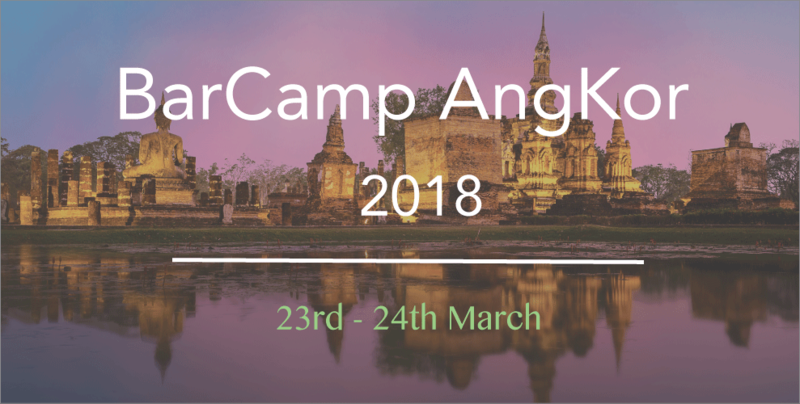 Join BarCamp AngKor 2018 Now! Ready to be Inspired? Join BarCamp AngKor 2018 Now! Interested to learn more about technology, business, and media? Want to expand your contact list and network with like-minded individuals? Well, this is the event for you! BarCamp AngKor 2018 will be happening on the 23rd to 24th of March at University of South-East Asia (USEA) from 8am to 5pm. The annual event aims to build knowledge and communication amongst all local and international participants in Cambodia about everything from Technology to Business Models. The event supported by the Ministry of Education, Youth and Sport (MOEYS), USEA and various local companies will be happening over the course of 2 days. Participants will attend talks on selected topics of their choice, conducted hourly in 5 different rooms. To learn about topics that may interest you, you can head on down to www.barcampcambodia.org or look out for the “Tables of Topics” from the information boards found at the event site. Organised by a group of like-minded non-profit volunteers, the event will open your horizons to people who are influential and passionate about media, design, business, and tourism & hospitality. Be ready to exchange invaluable experiences, learn new skills and develop fresh ideas from them! Participants can look forward to meeting 15 stand-in small businesses, new tech-products and tech-service fair. There will be T-shirts (limited), attractive gifts from various event sponsors and insightful interactions with individuals from the technology and business sector, lecturers, pupils from Siem Reap and speakers of the event to help build your network and future businesses. Sign up here for BarCamp Angkor 2018, “The Conference of Technology, Startups, and Job Showcase”. Registration is free!